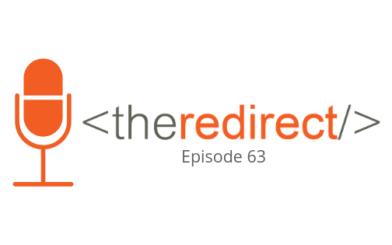 Welcome to The Redirect Podcast, where the BlackTruck team shares recent insights and takeaways from the world of search marketing. Last week, we discussed Google’s 20th anniversary and how the on-SERP experience continues to change. A recent presentation from Rand Fishkin at the Brighton SEO conference shared some insight to consider along with these changes, and explains how search marketers can work with the shifts to still win in the search game. Check it out at SparkToro. In this week’s episode, we bring you three very different strategies to get you thinking about the future of your approach to SEO, SEM, and overarching digital marketing. First up, navigating the concept of link building beyond 2018, focusing on content creation (begins at 1:53). Plus, if you’re an online retailer or a local business looking to run some targeted campaigns for the holidays, we give you hard-hitting tips on what to look at and where to take action now. Pro Tip: Don’t wait until Black Friday (begins at 20:16). Finally, we talk about why the modern marketing funnel is broken, and a recent study from our friends at Google on just how many touchpoints your customer might have with your brand before converting (begins at 14:37). If you’re an online retailer or even a local business, we hope you haven’t been dragging your feet on holiday season campaigns. If you have been, don’t worry; as long as you create some time to do it, there’s still time to prepare some PPC strategies and tactics that can really help drive your brand forward. Read Jason’s recommendations in our recent blog post: Paid Search Campaign Planning for the Holiday Season. Link building can be scary work. It’s something we all know we need to do, it’s something we want to do, but it’s also something that SEOs don’t always know how to do safely today. Gone are the yesterdays of volume and speed even at the risk of gaining spam links, of simple outreach (as in just asking anyone to link back to your website) and guest blogging for links; now, in a post-Penguin world, we live in the world of “natural” and human. Quality, not quantity. It’s a long game. Link building work is certainly not a sprint, and not even a marathon—these days, it can be closer to an ultramarathon. Today, we know that in order to “go out and get a link,” one needs to have a focused plan. But where do we begin? Search Engine Land recently published an article called “Link Building in the Age of Content Skeptics,” which provided a list of loose guidelines to follow that takes link outreach to the next level, to the point of it no longer really being plain old “outreach” to begin with. It’s simple (kind of): Write good content. It begins with settings goals for the piece. “Hoping” something gets picked up and spread is not a viable search strategy. You can’t just write to write with a goal that someone will see it. Begin with a business goal that identifies opportunities for content themes. Once you have the goal identified, identify the core topic of the theme. You need to understand the true core of what you do, and the true core of what people need, and connect the dots in your writing in a way that will achieve your goals. Keyword research tools can identify how people are searching for what it is you are offering. This can help you organize a data-backed procedure for writing your piece. Next, look into a content gap analysis for not just where your own content on this topic is light, but where online sources for your industry are light in coverage. Is there a repeated search query out there that doesn’t have clear articles connected to it? Or is the information that’s out there not doing a good enough job of answering the query? Then write something to fill that gap. If you can fill a gap in the industry, it going to be more apt to be picked up by more outlets. Once your content is picked up and published somewhere—with link back to your website, right?—the next thing to do is to ensure it’s “linkable.” The first step is getting interest from the sources that matter; the next step is your audience finding enough interest in it to want to share, click, talk about, and use the source. If you’ve done your research and put careful attention into creating quality work, this should happen naturally. Beyond the relative “low-hanging fruit” of local link building, there’s no “quick” way to make it happen anymore. If you’re being told about ways you can get some quick links, then it’s probably a black hat type of SEO (do the words “link farm” mean anything to you?) that won’t hold the test of time. Avoid. Take the high road; do it right and you won’t have to worry about it tomorrow. While we still refer to it sometimes because it’s a classic marketing reference, we’re also prone to saying the marketing funnel is dead. We wrote a blog post last year about human-centered SEO and about how the customer journey is no longer linear because of all the options available for research, at any step in the consumer journey, from awareness to post-purchase. The pages lays out four distinct customer journeys and the ways each customer interacted with digital tools to complete those journeys. You can click on steps within their journey to see more details of their behavior. Each customer that’s profiled has a different number of total touchpoints with search, between mobile and desktop search and even YouTube, from 20 touchpoints for a purchase of fairly low consequence (candy), to over 500 related to an international trip. Though this concept of “there is no marketing funnel” should be nothing new for digital marketers, it’s helpful to be able to visualize the unique ways people research and purchase—online and offline. Thanks for tuning in! To catch future episodes of The Redirect Podcast, subscribe on SoundCloud, iTunes, or Stitcher.